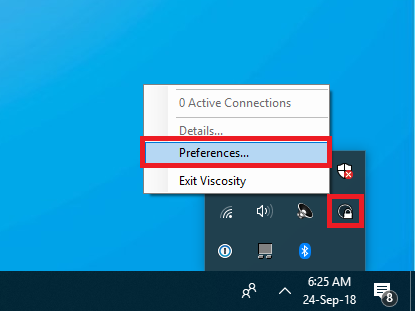 At times, there are some computer settings that won't allow Viscosity to import the profile automatically just by double clicking the IP profile. For such cases, there arises a need to import the profile manually. This step-by-step guide will help you with importing the profile manually into Viscosity. A few screenshots in the guides are taken in WIndows 10, but the steps are same for any version of Windows or macOS. 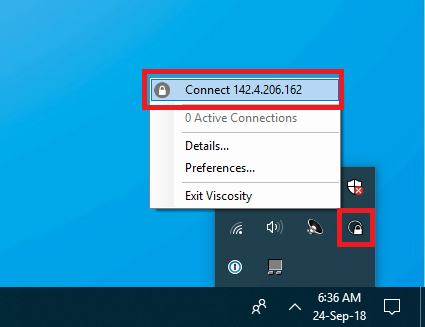 Manually Importing IP Profile & Connecting To It. Please ensure you have installed Viscosity on your computer. If not, follow the guide to install Viscosity. This will download the file as shown here for Google Chrome browser. Do not open the file. We will use it in the steps further. Open the folder where the file is downloaded. By default it should be in the 'Downloads' folder, if you have not selected any other folder to download. Once you are sure that file is downloaded and you now know the location of the file, go ahead to importing the profile manually. Right click the Viscosity icon from the bottom tray as shown below and click 'Preferences'. If you do not find the icon, simply run the software once from the start menu. Once the Viscosity window opens, click on the '+' button in the bottom left corner as shown. Click on 'Import Connection' and then click on 'From File'. This will open up a window. 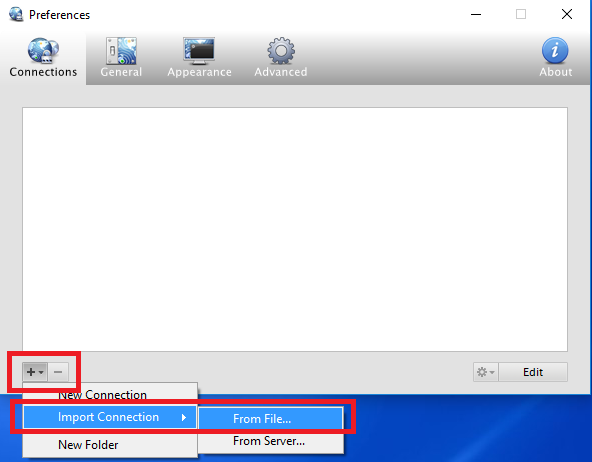 Navigate to the folder where you downloaded the IP profile in the first step. Click on the IP profile and click on 'Open'. This will import the profile in Viscosity and you should see it as in the screenshot below. Now close the software window. Again, right click the Viscosity icon from the bottom tray and you will see the recently imported profile. Click on it to connect.